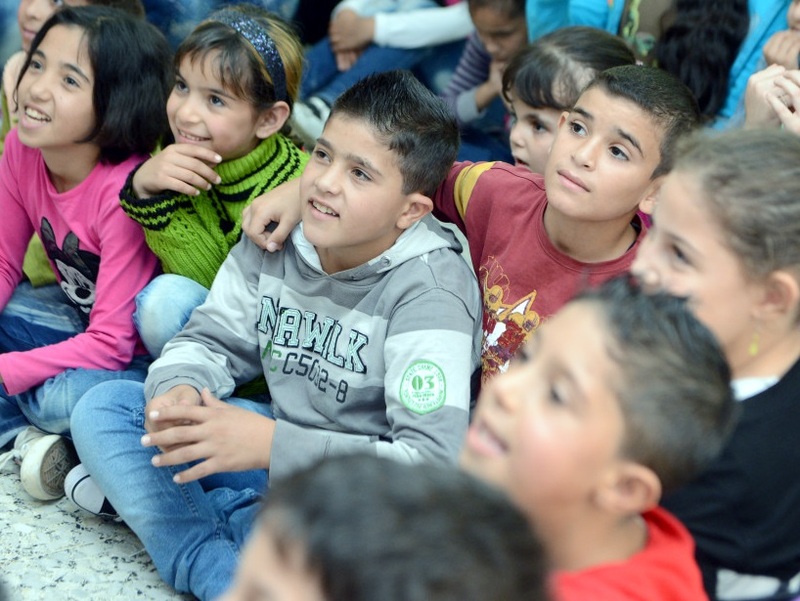 The smiles on the faces of the children say it all: The first Christmas for Refugees event of 2015 was a hit! This first event was held at a church in Mount Lebanon Governorate. One of six governorates in the country, it is majority Christian. The event was held in a coastal city to the north of Beirut. The children’s program which was followed at the first event in Lebanon is to be repeated at the other events which are still to be held. Typically, the programs begin on a weekend day with worship that includes the singing of Christmas carols such as Silent Night, and Christian children’s songs that are interactive. A Christmas message is delivered by the pastor of the church or a youth minister, and then a play or puppet show is presented to illustrate the Gospel message. Then there is a break in the program for some fun and games followed by a hot meal, in this case a lunch. The food served is typical of the area including roasted chicken, rice with a gravy, vegetables, bread and a dessert. Each child is presented a gift bag as well, containing a warm hat, a scarf and a pair of gloves for the winter months. Before leaving, the children also receive a picture Bible and some children’s work books that are Gospel oriented. The events were planned in size from 50 to 150 children depending on the size of the church. At this very first event there were 60 children. A firsthand experience: The first event that the Christmas for Refugees team from the United States will attend is in the north of Lebanon, to the west of the port city of Tripoli on the following weekend. (There is another city in Libya by that same name that is often in the news because of terror attacks.) The team will examine all aspects of the program including the quality of meals, gifts for the children and the clarity of the Gospel message. In Lebanon families receive food vouchers valued at $60 each, and can choose their own food at stores. The United Nations average allotment for an entire refugee family is $19 per month; however, there are no United Nations refugee camps in Lebanon for Iraqi and Syrian refugees. Some live in tents on land they rent from farmers, while others live in the basements of slum buildings. Lebanon is home to over one million refugees. 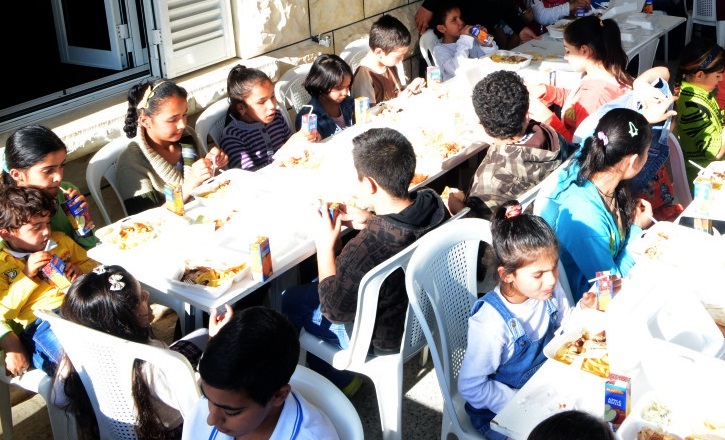 It is the goal of the Christmas for Refugees program to bring some hope and spiritual encouragement to the refugee children who have been displaced by the Islamic State (ISIL) and other terror organizations.